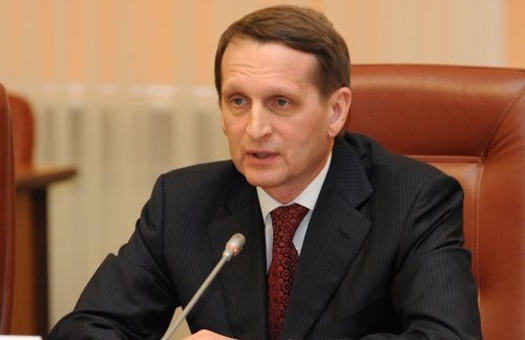 Thessaloniki, July 5, Interfax - Russian State Duma Speaker Sergey Naryshkin has called on the parliaments of Interparliamentary Assembly on Orthodoxy member countries to include the issue of protecting Christians under persecution in the Middle East in the international agenda. “Today Christians find themselves subject to severe persecution and even lose their lives for their faith in different places on the planet, primarily in the Middle East. We, representatives of our countries’ legislatures, are bound to take measures to protect them by all means available and persistently place these problems on the international agenda,” Naryshkin said at the opening of the 23rd General Assembly of the Interparliamentary Assembly on Orthodoxy. MPs should discuss both ways to help refugees and the reasons behind the current events, he said. “In other words, [they should discuss] the irresponsible policy of a number of Western countries, which, acting under the pretext of the fight against regimes that are undesirable to them, destroy the very statehood of whole peoples and provoke chaos and lawlessness across vast territories,” he said. “And certainly it is necessary to jointly counter terrorists – these barbarians of the third millennium, who savagely eliminate people and monuments of world culture, at the same time covering the evil perpetrated by them by one of the most ancient religious, Islam, which certainly has nothing to do with terrorism,” Naryshkin said. Terrorist gangs’ recruiters are playing on the basest feelings and passions, “and it is easier for them to find their prey in the dysfunctional environment, where young people are doomed to illiteracy and a shortage of cultural upbringing,” he said. Parliaments ought to double their efforts in cracking down on this and seek to raise people’s standards of living in order to minimize conditions for terrorist threat growth, Naryshkin said.